“Mr. Sanwo-Olu’s private and public experience is not what the likes of Jimi Agbaje could buy over a supermarket shelve, and would take them at least two decades of quality experience to place them on the same pedestal like him. “Shockingly, Mr. Agbaje has not addressed any issues of interest to an average Lagosian, who has to daily grapple with challenges associated with a megacity such as ours. Rather, Agbaje’s focus since he flagged off his campaign has been on how to drag our candidate along with him into the mud. We understand how frustrated Mr. Agbaje is and this why we sympathize with him. We also need to remind him that our people know better. They are sophisticated electorate. They know the party that has been with them through thick and thin, they know the candidates and have vowed to remain with us, the All Progressives Congress and our candidate, Mr. Babajide Sanwo-Olu. 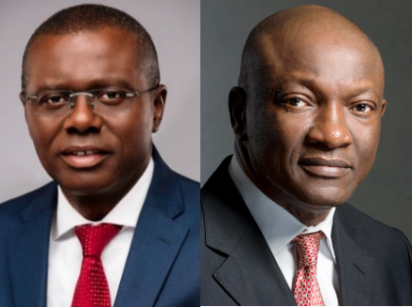 “The public opprobrium of Agbaje against our candidate nonetheless, Lagosians have decided to vote for the All Progressives Congress on March 2nd 2019. This is because, the Lagos electorate know that they cannot gamble with their existence. They know in real, practical terms, the true meaning of progressivism as exemplified by our party. “We wish to reiterate that Lagos cannot be left in the hands of a learner, whose only promise is to spend 50% of the State’s budget on education, leaving out several other critical areas of daily existence to suffer. We cannot leave Lagos in the hand of a man, so inexperienced that he does not understand the difference between power generation and distribution. “For the avoidance of doubt, Babajide Sanwo-Olu remains the best choice for the job of Lagos State Governor. His five-point agenda, centred on THEME(Traffic management and Transportation, Health and Environment, Education and Technology, Making Lagos a 21st century economy as well as Entertainment and Tourism) has been well thought out as the most assured ways for a greater Lagos.” , the statement concluded.